Argentina's debate on abortion has helped open the way for greater debate on a subject viewed so differently across the region. Here, four women share their experiences. To legalise or not to legalise, that is the question on the lips of many legislators in Latin America since Argentina opted not to decriminalise abortion following a senate vote. Attitudes are changing in some traditionally conservative societies, though, as Guatemala debates contradictory proposals that would either loosen or toughen laws; Brazil's Supreme Court considers a plan to decriminalise abortion in the first 12 weeks; and Chilean legislators debate a bill that would universally allow abortion in the first 14 weeks. Here, four women share their abortion experiences. Josefa is 46 and lives in Havana. Cuba was the region's pioneer, legalising abortion in the first eight weeks in 1965. "I had a friend who had so many [abortions] that she could no longer have children, and now she regrets that. "I was 38 weeks pregnant. I have a three-year-old son who was born by C-section, I didn't know what labour pains were." 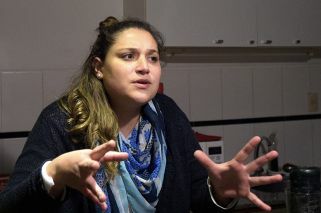 Office worker Mariana Rodríguez, 27, had an abortion in a public hospital in Uruguay, where it has been legal since 2013. "I was lucky that I didn't have to listen [to talk of homemade methods] using parsley and a knitting needle. 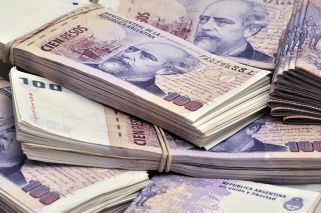 I'm thankful of the law in Uruguay, it's applied in a perfect way and should be an example to other countries. "For me, it's a very personal debate: how each individual views the foetus, embryo, baby, the concept of motherhood, the stereotype that women are born to be mothers... But it has to be law, there's no discussion there."